In Estonia, Midsummer is definitely the biggest holiday of Summer. It's a tradition that is mostly celebrated by Nordic people. 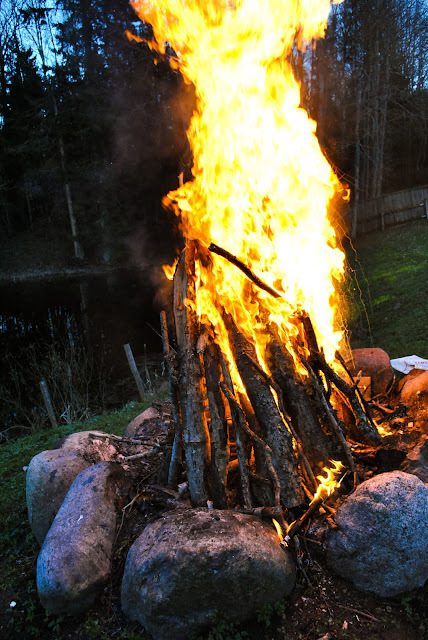 When I was a little kid, I was so excited for Midsummer. Me and my friend Anna always got together and grilled some sausages and jumped over the fire. I even remember that one year I was organizing an event called "Miss Summer" for the local kids. There were three contestants and they all got little presents. Me and Anna were judges, of course. We always stayed up really late and enjoyed the Summer's shortest and lightest night. Why should you eat meat free on Midsummer? In the past eight years, my every day has been meat free. It's for a very simple reason - I don't want to support raising and killing of sentient beings just so I could eat a sausage. For that reason, I will eat vegan sausages and vegan shaslik on Midsummer. For me, they taste better anyway. If you are not interested in the meat industry's impact on the environment and animals, I would still recommend eating vegan on Midsummer just to discover new amazing tastes. 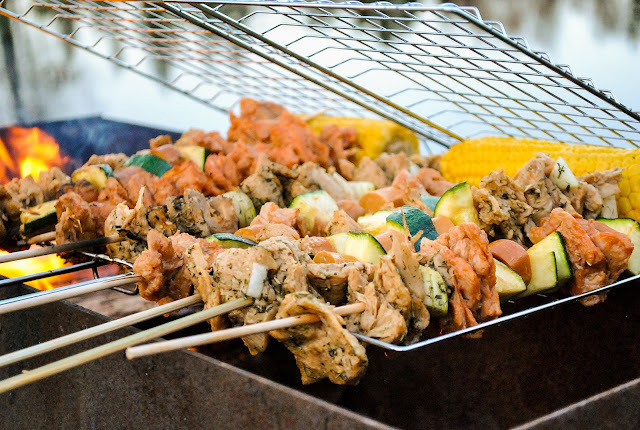 In my experience, many meat eaters are pleasantly surprised after tasting delicious meat alternatives or smoky grilled veggie skewers. Just think about it - you have eaten the same pork and chicken shaslik in vinegar marinade for all your life. 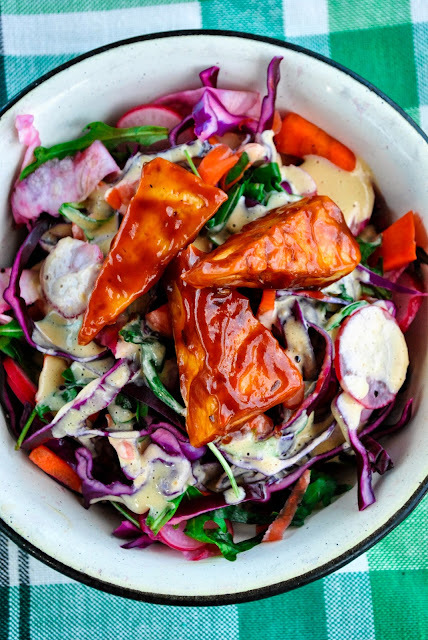 Why not marinate tofu, soy cutlets, mushrooms and veggies with tons of fresh herbs? 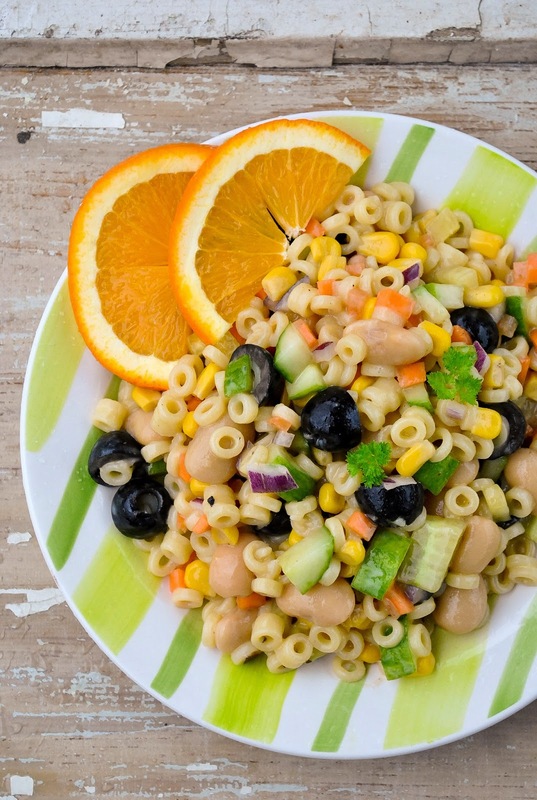 Serve them with a filling creamy vegan pasta and veggie salad. For an appetizer, you can serve fresh buns with lemony mushroom spread. And for dessert? 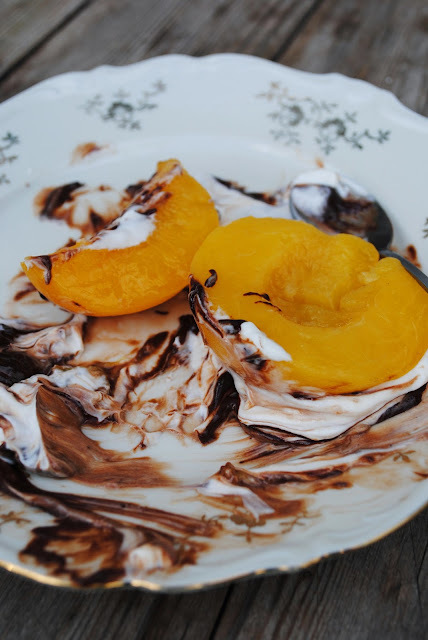 Juicy ripe watermelon or grilled peaches with coconut whipped cream and melted dark chocolate. I honestly cannot wait for Midsummer! But lets get to the practical side now. What to serve on a vegan barbecue to make it satisfying, tasty and filling? I have a few great recipes up my sleeve! First, the basics - what can you put on a grill (or in a pan, in case it's raining). 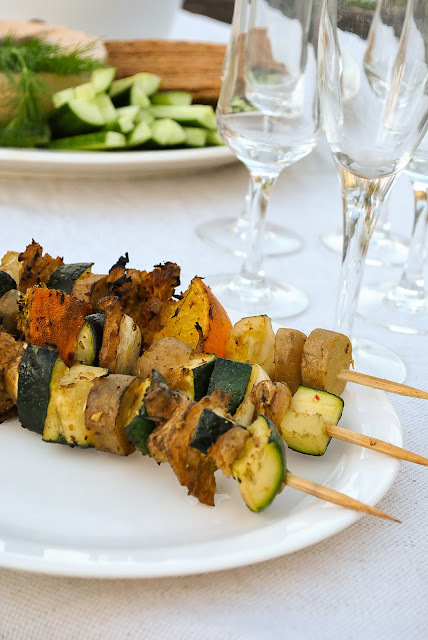 I have a fabulous whole vegan barbecue section in my cookbook Vegan Dinner Party, if you are interested to learn some really great recipes for entertaining and why not for weeknight family dinners. The book also contains a recipe for these skewers, plus tons of other barbecue, Christmas and dinner party recipes from spreads, soups and salads to main dishes and desserts. But back to this shaslik. I marinated soy cutlets, vegan bratwursts and veggies and then grilled them. There is something about food that is cooked on a live fire with a little bit of smoke included. 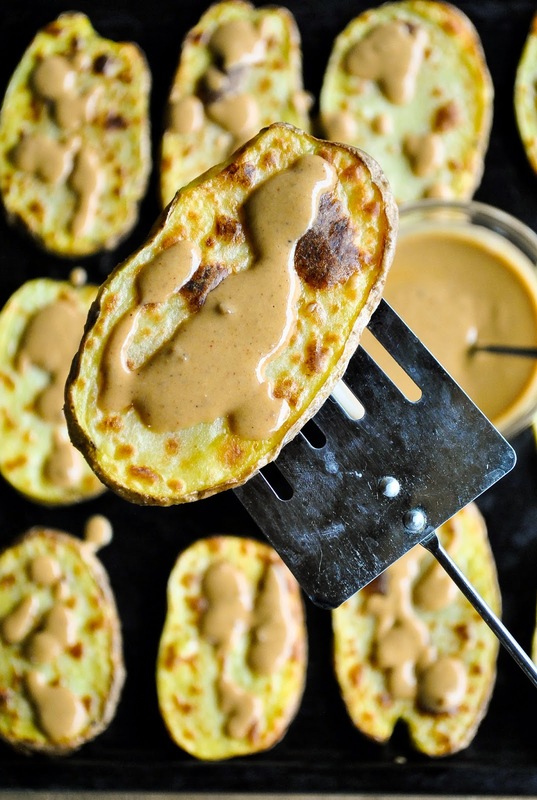 Serve them with a dash of mild mustard and you are in heaven. 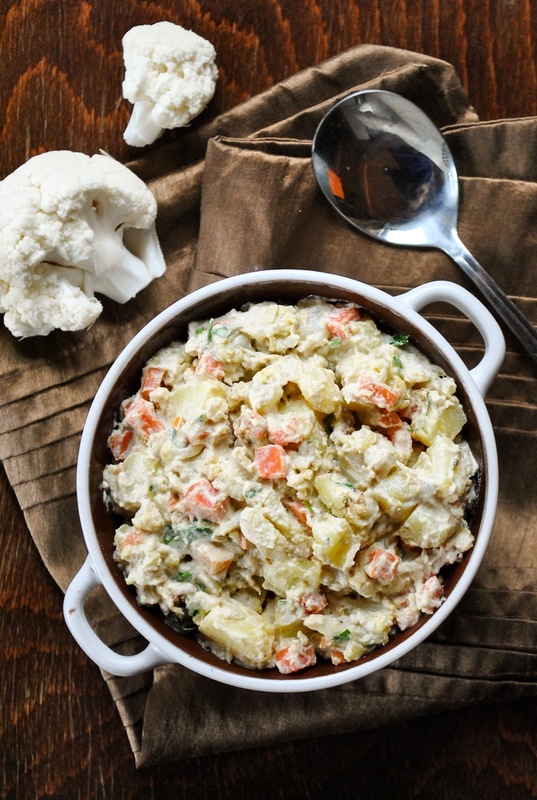 Also check out this lakeside vegan dinner party post for extra inspiration. 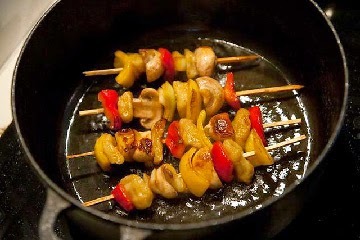 When you have planned a barbecue and it's pouring outside, this pan-fried shashlik saves the day! I actually cook it up all year long and with every weather. I have finally discovered how to make something really amazing out of these dried soy cutlets. Be sure to check out last year's Midsummer special recipe post! If you want to take your regular vegan barbecue to the next level, try these smoky grilled carrot dogs with creamy chickpea salad. Carrots become so juicy, sweet and smoky when boiled, marinated and then grilled. 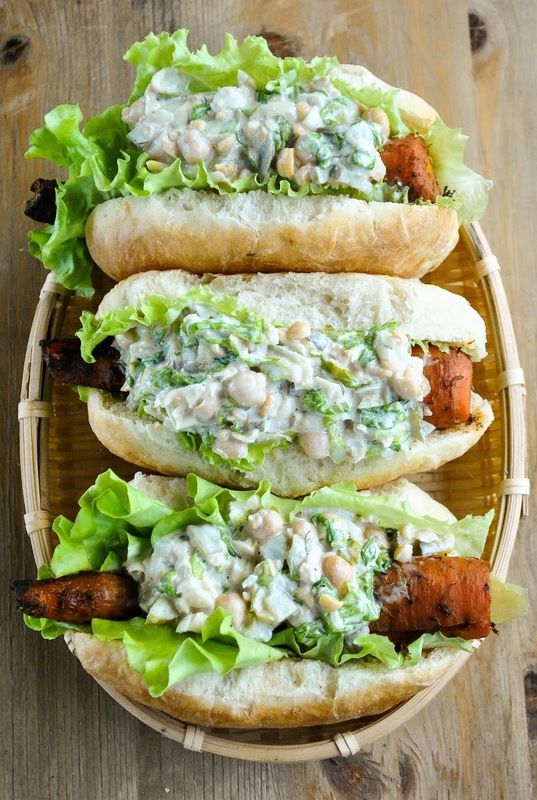 They are absolutely heavenly served inside a soft bun and topped with a load of creamy salad. 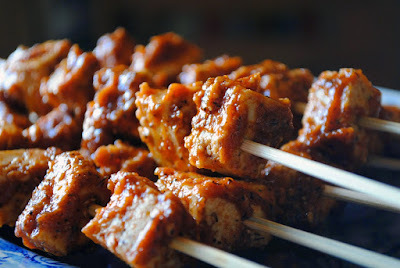 This post contains a recipe for this crispy barbecue tofu. It has always been an epic crowd-pleaser. You only need two ingredients and a pan. I recommend to cook up a bigger batch, since it will be wolfed down really quickly. These potato steaks with satay sauce are so much fun to eat. If you slice the potatoes really thinly and rub them with oil and salt, you could also grill them instead of baking. These smoky tofu skewers are super easy to make and taste really good. You can make your own marinade instead of using store-bought. 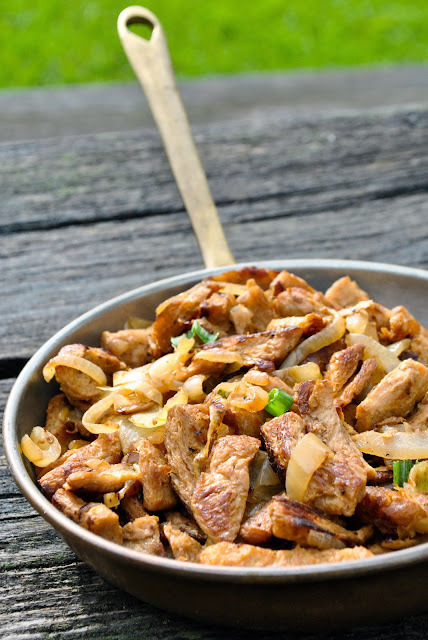 You can also grill good old seitan. Here's a recipe for seitan made from scratch. No gluten flour needed. Really cheap, too! I love when veggie skewers are served with a filling salad. This creamy potato and roasted cauliflower salad is really something special. If you can't or don't want to use sunflower sour cream, replace it with a regular vegan mayo. If you want a little bit lighter salad, make this rich and juicy pasta salad with veggies. It contains a load of veggies, beans and a mild orange and mustard vinaigrette. For more great vegan salad recipes, check out this "Salad" category. 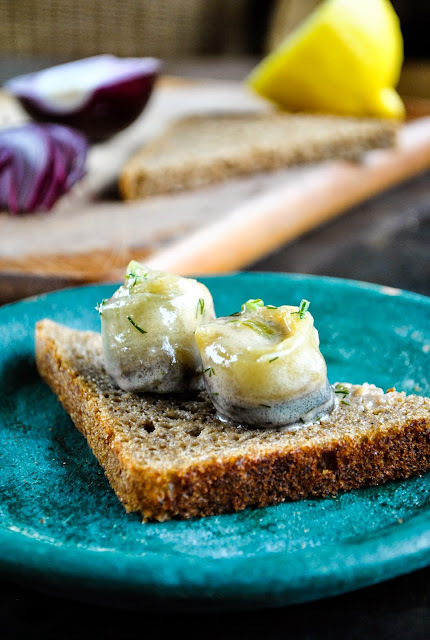 If you want something fish-like on your barbecue, these pickled eggplant rolls as known as eggplant rollmops are an incredibly delicious snack. Of course I have to mention these carrots in a blanket. Both children and adults really love them. You can also dip the in ketchup or mayo. 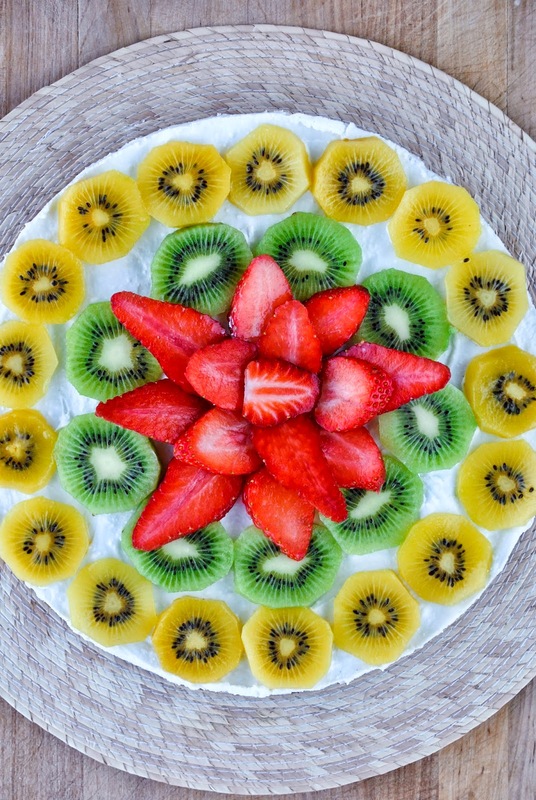 Fresh fruit is one of the best desserts to eat in Summer. 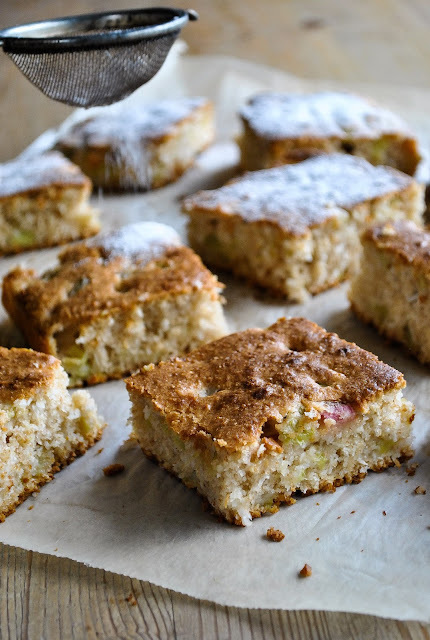 But when you want to bake something really special, this perfect rhubarb cake is absolutely perfect! This fruit and coconut torte on a raw crust doesn't look bad too, right? Grilled peaches are ridiculously easy to make. You can make them with fresh fruit or canned ones. Find the recipe here along with other great barbecue recipes. Here are more delicious dessert recipes.